I can’t help but express my excitement as a poker fan – this is the first time I’ve interviewed a player in the November Nine and it’s a special privilege to be speaking with my fellow Israeli Amir Lehavot. 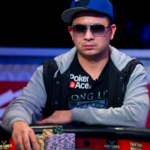 Amir currently sits in 2nd place at the WSOP Main Event final table with 29.7 million in chips, behind JC Tran. He’s tasted championship poker glory before, with a bracelet win in the 2011 $10K Pot Limit Hold’em event and he’s now got an excellent chance of taking down poker’s most coveted prize. Amir now has over $2.2 million in lifetime live tournament cashes. 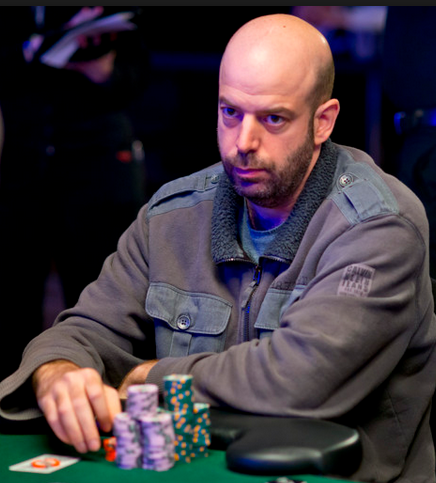 He’s 38 years old (the oldest player at this year’s final table), moved to the U.S. from Israel at age 16, and currently resides in Florida. A former junior chess champion who possesses a degree in Electrical Engineering from The University of Texas at Austin, Lehavot worked at Hewlett-Packard and a couple other hi-tech companies before embarking on his professional poker career 6 years ago. 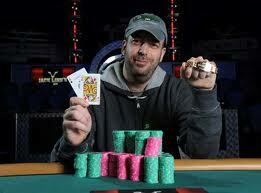 His Twitter handle is @pokerwit, which is also the name of the online poker strategy website he founded back in 2009. Congratulations Amir on your incredible run to the November Nine. This is already your largest career score by a $160K margin. How do you feel right now, compared to when you won your bracelet a couple years ago? Amir Lehavot: I feel great right now; I felt great about that achievement as well – but it’s definitely different. There is much more attention now. The money prize even of 9th place is bigger and there is potential for even much more significant money. It’s just different experiences, both felt great, this one feels “bigger”. You got into poker in your early 30s, which is considered “ancient” nowadays. What made you decide to leave a successful career in hi-tech and go pro? AL: It was to a large extent an “accident”. I didn’t decide one day to quit my job and be a poker pro. I decided one day that I want to take one year off, as I felt burnt and could use the time off – and I believed it would be easy for me to come back to the same industry in a year’s time. During the time off I discovered poker, enjoyed it, and made some profit with it. After the year, I decided to continue with poker for a little longer and re-evaluate then. Luckily, I was able to have continued success that made it easy for me to continue with this career path. Did you ever have a poker mentor, learn via books and training sites, or are you self-taught? AL: I read many books. At some point I used training sites and I learned a great amount from playing online. 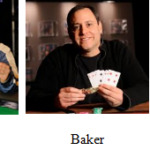 I also learned a lot through a site I started that’s focused on discussing poker hands, pokerwit.com. I started that project during my time off and that is what got me into poker in the first place. It’s been reported that you’ve asked the people at the WSOP to play Hatikva (Israel’s national anthem) if you win. What sort of connection do you have to Israel? AL: I have some family and friends there and I visit regularly. I very much love the country. No one from the Israeli government has gotten in-touch with me [Ed. Note: with congratulations on making the final table] and I’m not expecting it. I’m very happy as is :-). 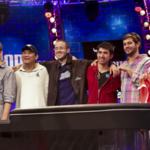 You’re currently in 2nd place at arguably the toughest WSOP Main Event final table in years. To what extent do you think your stack size matters at this point? AL: I think stack size is very important. In a poker tournament, your stack size very closely correlates to your chances of finishing in a certain spot. For example, if you have 20% of the chips and your skill level is equal to that of your opponents, your chance of finishing at the top spot is 20%, etc. So, your stack size is very relevant to your chances. What your exact chance is depends on your skill level vs. that of your opponents as well as the structure of the tournament from that point on, but it’s mostly impossible to figure out exactly. Did you feel a sense of relief to not have to play against a world-famous poker player like Carlos Mortenson anymore, now that he’s been eliminated on the final table bubble in 10th place? AL: I did not feel a sense of relief when Carlos was eliminated. I know Carlos personally and like him very much. I would have much preferred to see him make it to the November Nine and have someone else eliminated. Finally, how do you think this best career score and your eventual result in the Main Event will affect your general approach to poker? AL: It really depends on how it ends, as there are huge jumps for every higher spot in the November Nine payouts. So, what place I will end up finishing will have different consequences to my financial situation and implications to managing my poker bankroll. In general, this is something that I am not focusing on at the moment and will figure out once the tournament is over. Thanks again so much to you Amir Lehavot for your time and b’htzlacha (good luck) at the final table!